While Speakeasy's CEO since 2003, Bruce Chatterley, had been successful in raising $24m, it has been at a fairly high price: The investors involved expected a return on their investment within just a few years. 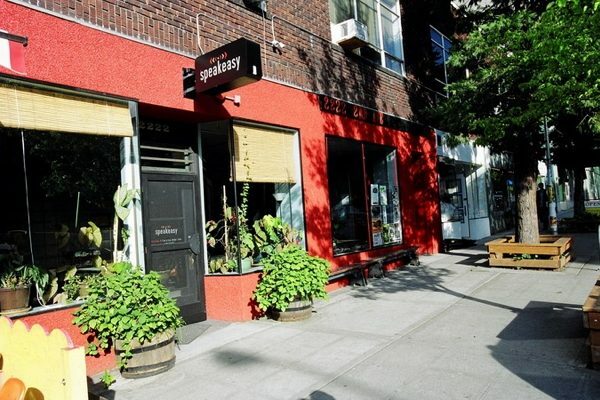 Speakeasy struggled to find its footing as its own entity under the new leadership, and they instead chose to sell the company to Best Buy in an effort to satisfy the financial needs of the investors. 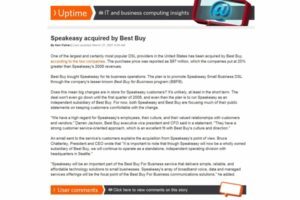 Speakeasy would function as a subsidiary of Best Buy for a few years, before ultimately being sold to an organization that was comprised of Speakeasy's primary DSL supplier, Covad Communications, and one of its former competitors, ISP MegaPath. 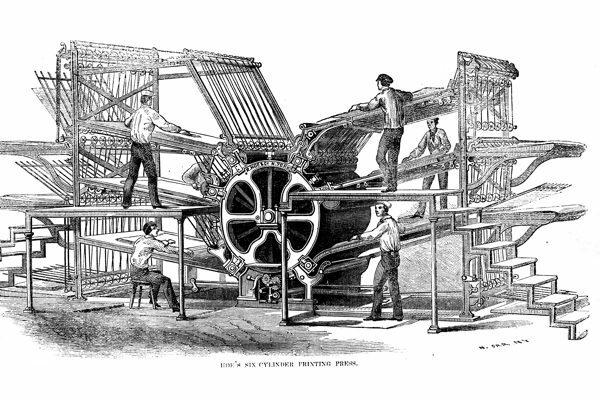 The consolidated firms renamed themselves MegaPath and continue to operate today as a business-focused Voice over IP provider. 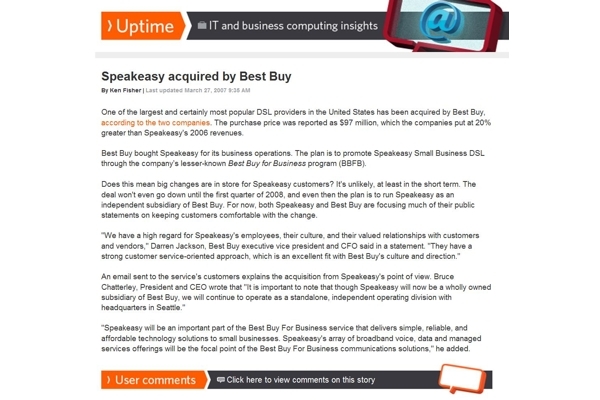 Speakeasy's journey comes to an end when its acquired by national retail chain Best Buy in 2007.